W.W. 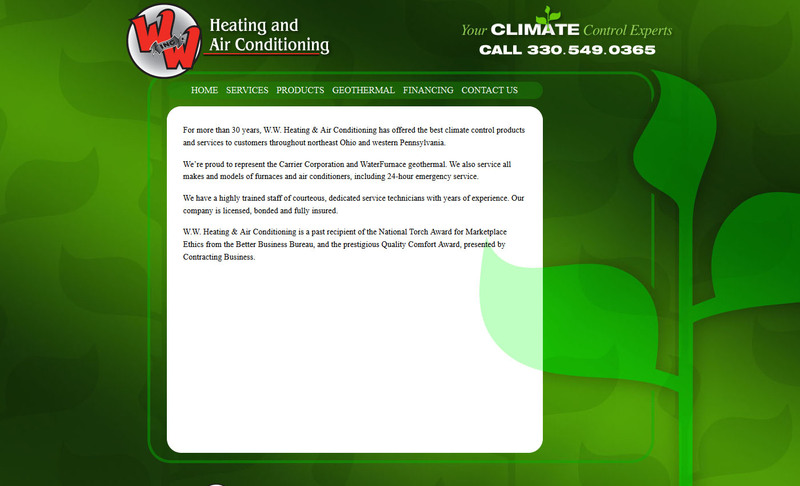 Heating & Air Conditioning has been providing climate control products and services to customers throughout northeast Ohio and western Pennsylvania for more than 30 years. 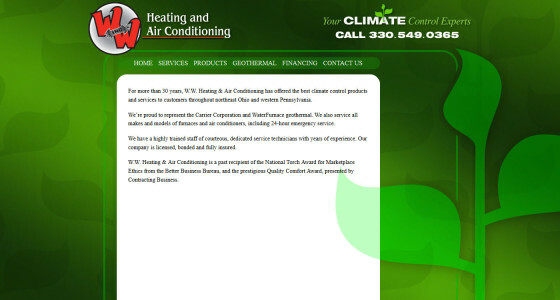 Farris designed, developed copy for and implemented an attractive website on behalf of this North Lima, Ohio-based company.